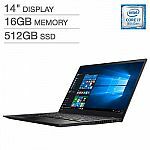 COSTCO has Lenovo ThinkPad X1 Carbon 14" 1080p Business Laptop: Intel Core i7, 16GB Memory, 516GB SSD, 802.11 Wireless-AC + Bluetooth 4.1, 2x USB Type C Thunderbolt, 3 Cell 57Wh (Up to 15-hour total) Battery, 2.49lbs for $1,349. Shipping is free. what cares what you will buy or not //@Anonymous: I need a new computer, but I'll pass on this one. Too many risks with Lenovo. //@anonymous: Not the first time I've heard stories like this about Lenovo. //@Anonymous: Ordered a laptop got double charged! Contact CS, waited for 2 month didn't get refund, then dispute the charge through CC service. The Keyboard of it was awful! Replaced once still not resolved. Lenovo, Shame on you! I need a new computer, but I'll pass on this one. Too many risks with Lenovo. //@anonymous: Not the first time I've heard stories like this about Lenovo. //@Anonymous: Ordered a laptop got double charged! Contact CS, waited for 2 month didn't get refund, then dispute the charge through CC service. The Keyboard of it was awful! Replaced once still not resolved. Lenovo, Shame on you! My experience with them has been very good. Not sure what is your problem. //@Anonymous: Not the first time I've heard stories like this about Lenovo. //@Anonymous: Ordered a laptop got double charged! Contact CS, waited for 2 month didn't get refund, then dispute the charge through CC service. The Keyboard of it was awful! Replaced once still not resolved. Lenovo, Shame on you! Not the first time I've heard stories like this about Lenovo. //@Anonymous: Ordered a laptop got double charged! Contact CS, waited for 2 month didn't get refund, then dispute the charge through CC service. The Keyboard of it was awful! Replaced once still not resolved. Lenovo, Shame on you! Ordered a laptop got double charged! Contact CS, waited for 2 month didn't get refund, then dispute the charge through CC service. The Keyboard of it was awful! Replaced once still not resolved. Lenovo, Shame on you! Gen 5 vs gen 1. Gen 6 and extreme are released within a year still under free warranty, you cannot tell now how good the quality is. //@anonymous: Not sure what problems you had. Sorry to hear it. I have been a Thinkpad user for >15 yrs. Had X1C from Gen1. Used a Gen4 at work and had to return to employer. Current user of Gen, 5 and 6. Also own the latest Extreme. All units currently still in active service. The only issue I had with those is Gen5, which had a strange battery issue where battery wouldn't charge until it is fully drained. It happened probably 3-4 times over the 2.5 years. Other than that, not a single issue. The Gen1, after 7 years, still fast and strong. Had 3 yr onsite service, but never had to use them. So cannot comment on Lenovo service personally. Lenovo customer service is fantastic. They always do overnight shipping. Bought a lenovo yoga laptop from eBay last time, called Lenovo warranty service for screen repair, they replaced me with a brand new laptop with expedited shipping, quite happy with it actually. //@Anonymous: Totally agree. Bad quality control with extremely bad customer service. Will never buy anything from Lenovo again. 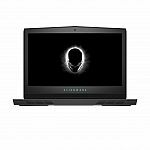 //@Anonymous: Too many hardware problems, bought X1 Carbon 5th gen with 3yr NBD with accidental business warranty for $2200 and they are giving run around when called for support. worst support ever, all calls goto Atlanta GA support center and everytime called took 2 hours on phone still no help. Royally stuck with piece of crap. Not sure what problems you had. Sorry to hear it. Totally agree. Bad quality control with extremely bad customer service. Will never buy anything from Lenovo again. 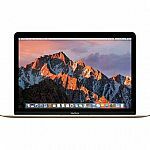 //@Anonymous: Too many hardware problems, bought X1 Carbon 5th gen with 3yr NBD with accidental business warranty for $2200 and they are giving run around when called for support. worst support ever, all calls goto Atlanta GA support center and everytime called took 2 hours on phone still no help. Royally stuck with piece of crap. Too many hardware problems, bought X1 Carbon 5th gen with 3yr NBD with accidental business warranty for $2200 and they are giving run around when called for support. worst support ever, all calls goto Atlanta GA support center and everytime called took 2 hours on phone still no help. Royally stuck with piece of crap.